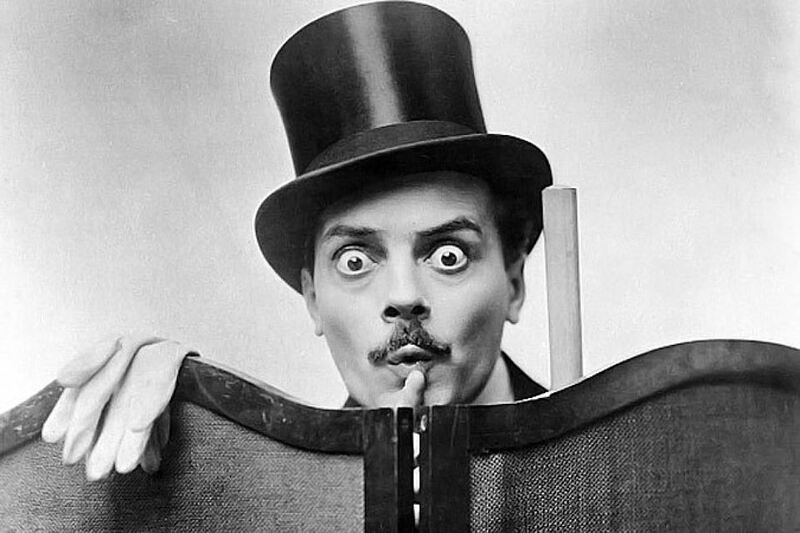 Before Charlie Chaplin and Buster Keaton, there was Max Linder. Now, you may not have heard of Max Linder, but do not fret. We’re here to help you become the Movie Smarty Pants you’re destined to be. Mathiesen is the author of the new biography, Max Linder: Father of Film Comedy. In this work, he has proven to be an inexhaustible researcher. From viewing films to combing through international publications and corresponding with Max’s daughter, Mathiesen has compiled an intriguing biography of the “Father of Comedy”. In this biography, we learn Linder was “plagued with various physical ailments” (p. 2). The book cites at least three occasions when the media mistakenly announced Max’s death, or impending death. Max proved to have remarkable resiliency for someone with such frail health. The book also explores the origins of the French film industry, and the history of the film company Pathé-Frères, the folks who made our Max a Star. His career really started to gain momentum around 1909, when Pathé was releasing two to three shorts per month. It’s worth noting Max’s comedies were not based on gags; they were situational comedies, much like today’s television sitcoms. Mathiesen notes a marked improvement in the quality of films around 1911. By this time, our Max was writing and directing his own scenarios. According to the author, the years between 1912-14 “rank as [Max’s] most consistent phase of excellence” (p. 62). 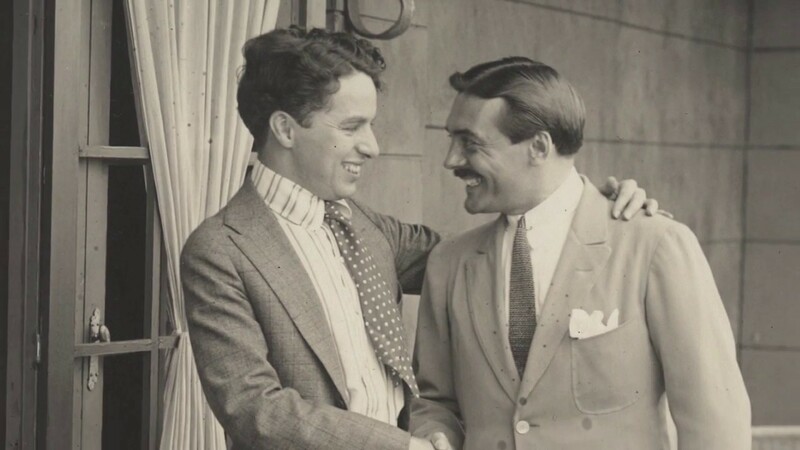 The warm relationship between Max and another film comedy pioneer, Charlie Chaplin, is also detailed in the book. “Like the tramp,” writes Mathiesen, “Max is peculiarly human, with an often poetic streak to his presence” (p.117). Max’s popularity faded due to his service in WWI and the increasing fame of American film comedians such as Chaplin, Keaton and others. While Max remained a well-known actor, his fame would never equal that of his pre-war years. They say a biographer has to be a little in love with their subject, and Mathiesen seems to have a true affection for Max Linder, a fascination that began when Mathiesen was a teenager in Norway. “I set out to write this book most of all to celebrate [Max’s] genius as a major pioneer of film comedy,” he writes, “which is why I became interested in his life in the first place” (p. viii). Mathiesen approaches his writing with the same vigour and precision as his research. His prose has an elegance that is refreshingly free of clichés. We encourage you to see some of Max’s films*; we guarantee you won’t be bored. 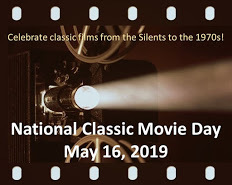 As author Mathiesen notes, these movies have aged well over the decades. 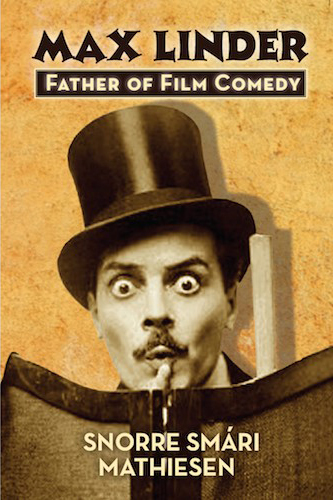 We also hope you can pick up a copy of Max Linder: Father of Film Comedy. It’s an entertaining read that will help you achieve your dream of becoming a Movie Smarty Pants. You can purchase a copy of Max Linder: Father of Film Comedy from the publisher HERE or from Amazon HERE. Thanks to Bear Manor Media for sending us an electronic copy of this book. *You can find some of Max Linder’s films on YouTube. A splendid accolade: many thanks. You’re right: we all too often forget Linder when we think about the chain of screen/sound comedy that extended from him and Chaplin through the Goons, the Pythons, Rowan Atkinson (I’m missing out a lot of stages) and more. I’ve been watching a lot of Max Linder shorts on YouTube, and he really is charming and delightful – not to mention sartorially on pointe. How wonderful! The more I see of Max Linder, the more I want to know about him. A few weeks ago, Silent Revue (a movie series running at the Revue on Roncesvalles) showed Max in a haunted house prior to The Unknown. On December 10th, the movie is Chaplin’s The Circus, and another Linder short will be offered before the feature. If I say I’ve never heard of this guy, I doubt it’ll mean much, since I have limited knowledge of the silent era in America, much less other countries – and yet if he was that influential, I feel like even I would’ve come across his name somewhere… maybe? Instead, I’ll just say this is quite a story and a good post. Thanks, Rich! I’ve come across his name on a couple of silent film blogs (Century Film Project and Movies Silently), but when I saw notice of this new book, I had to learn more. I hope you can check out some of his shorts on YouTube. Definitely someone who needs greater exposure for his work and influence beyond cinephiles. I first heard of him via Paul Merton’s TV series on silent comedy here in the UK yet his name still remains unknown to most. As much as I love the Marx Bros and the mirror scene from Duck Soup, I believe Linder did it first some 20 year earlier! His story is tragic but his legacy needs to be preserved and someone must be able to put out a long overdue Blu-ray collection of his existing works! There is a clip of Max’s mirror scene on YouTube here in Canada, and it is amazing, even down to the way Max and his “reflection” wipe the mirror with a towel. Max is so funny here. I’m not familiar with Max, so many thanks to you for introducing me to him. Very interesting post. Thanks so much for this, Ruth! My pleasure! The book was a terrific, informative read. I very lovely tribute. I’ll have to seek out the book. I was thinking of you when I read the book, because I think you’ve written about Max and the taxi on your site…? I think you introduced me to that film. Anyway, I hope you get the chance to read it. Yep, that and “Troubles of a Grass Widower” and a couple of his other later works. Thanks again! I was indeed unfamiliar with Max, but I know more now! And becoming called the “Professor of Comedy” by Charles Chaplin is high praise indeed. The new bio sounds like an interesting read. Since you posted this, I have had an opportunity to read a little bit about Max Linder. So talented. When I took the TCM class about comedy (OUCH! A Salute to Slapstick), I got to see some of Linder’s onscreen comedic genius. Thanks for the reminder. “Genius” is a great description of Max’s work. He was funny and so charming, wouldn’t you say? There’s something quite endearing about him.